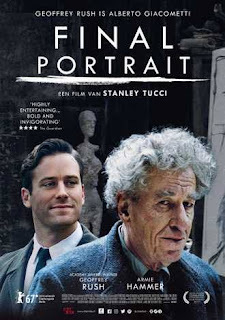 Final portrait, directed by Stanly Tucci, is an incredible true story of an off beat relationship between a rude, selfish and indulgent artist and his patient and passive model. If you are watching a movie and you are more interested in its plot, then I would not recommend this one. Instead there is a four minute video in YouTube that beautifully summarizes the whole thing. But if you are interested in a movie for something more than just a story, you long for an emotional experience, I would love to introduce Final Portrait. This movie is about the artistic process and the whole trauma that comes with it. 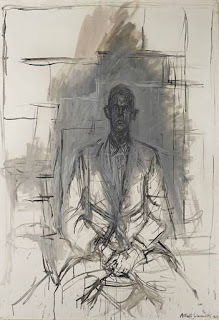 Giacometti is tormented, confused and is without any plan. He just want to show the world what he sees. He is not even sure if he has yet acquired skills to do it. He doubts his own abilities though the world has acknowledged his skills because he has enough money to throw around. In a fit of rage he can throw bundles at his wife. He can give so much money to the pimp of his muse that even the pimp declines him and says he has paid enough. Yet Giacometti is tormented as he is aware of his limitations. Playing perfect foil to our artist is his model. 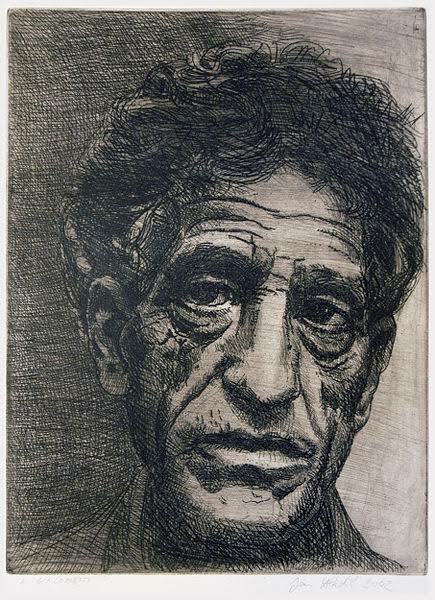 Lord understands and even empathize with the struggle of Giacometti. He has a pressing need to go back to New York, yet has to postpone his tickets as he doesn't have any idea when his adventure will be ultimately over. He is surprised by the attitude and actions of the painter and feels apprehensive, but shows restraint on every occasion. He is passive and is herded many times by the more aggressive and dominant Giacometti. Yet he doesn't protest and takes it all with an all knowing smile. Watch your step- There is an Infant going around! Underline the Verb... u gotto be kidding me !!! And so it begins... !! Open letter to the device who is highly unlikely to respond..
Mostly divine. At times Bovine. Even tiny things do matter.. They are called leaders. Damn!!! Me & Meri Maggi Moments... spoofed!